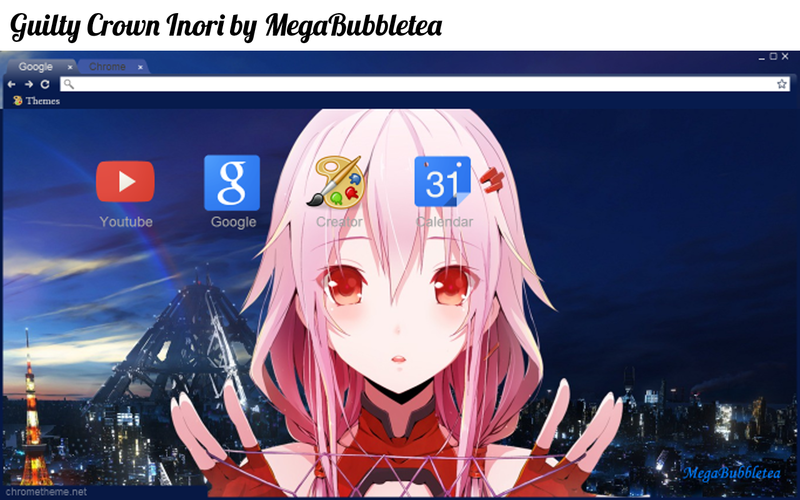 I felt like creating a nice dark blue-ish theme and I ended up using a picture of Inori from Guilty Crown. 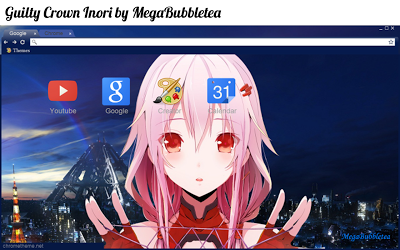 I experimented with placing different images in the various different sections of the browser. If you notice the top bar (where the control boxes are), that is actually an image and not a solid color. Anyway, the more images are used, the larger the file download. But it's only a few MBs, so it won't drain your data. Enjoy!